JAG Markets is proud to be the Official Forex Platform of International Champions Cup (ICC) China. 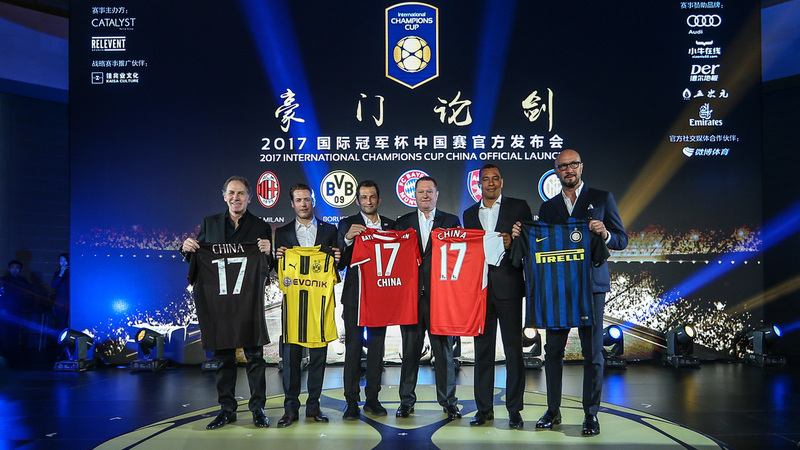 ICC China 2017 welcomes the strongest line-up ever including AC Milan, Borussia Dortmund, FC Bayern, Arsenal FC, FC Internazionale, etc. Fans can expect to see the “Greats” clashing in four tournaments in Guangzhou, Shanghai, Shenzhen, and Nanjing this July. JAG Markets will start a series of promotions will be rolled out leading up to the commencement of the ICC in July 2017. JAG Markets is constantly looking for top-class events to partner with such as ICC, and looks forward to a great relationship with ICC for years to come. International Champions Cup is an annual summer football tournament created by Relevent Sports and developed in Asia-Pacific by sister company Catalyst Media Group, featuring the best clubs from around the world. This is the third time the ICC has dedicated such premium experience and excitement to the local fans of China. Since the start of ICC China two years ago, it has brought along top European football culture and lifestyle to China. ‘We are excited to confirm JAG Markets as the first ever Official Forex Platform of International Champions Cup China. There is a great fit between us as partners – both in terms of our shared target audience and our aim to create direct regular touch-points for Chinese fans around international football. We look forward to working hand-in-hand with JAG to boost their awareness across China, Asia and the world – and deliver fantastic experiences to their key stakeholders.’ added Mr. Patrick Murphy, President and Chairman, CMG. In addition, ICC China 2017 has partnered with many great global and domestic brands. Current confirmed sponsors are Audi, Neo Online, Der Floor, WuCiYuan Biotech, Emirates, DHL, Allianz, Puma, VOGA and Xtep. The strong sponsor line-up will bring compelling engagement activities for Chinese fans to experience the premium European football experience. JAG Markets is a premium forex trading company that offers clients an easy and intuitive way to trade in the leading financial markets. Since establishment of the business, JAG has built a loyal base of customers by drawing upon their expertise in providing exceptional edge-cutting software and services. JAG is formed by a group of experienced and established finance professionals with over 50 years of experience, covering various fields of finance from hedge fund management to public accounting. JAG team also consists of experienced traders who are dedicated in charts monitoring to provide the best value for their clients and partners.